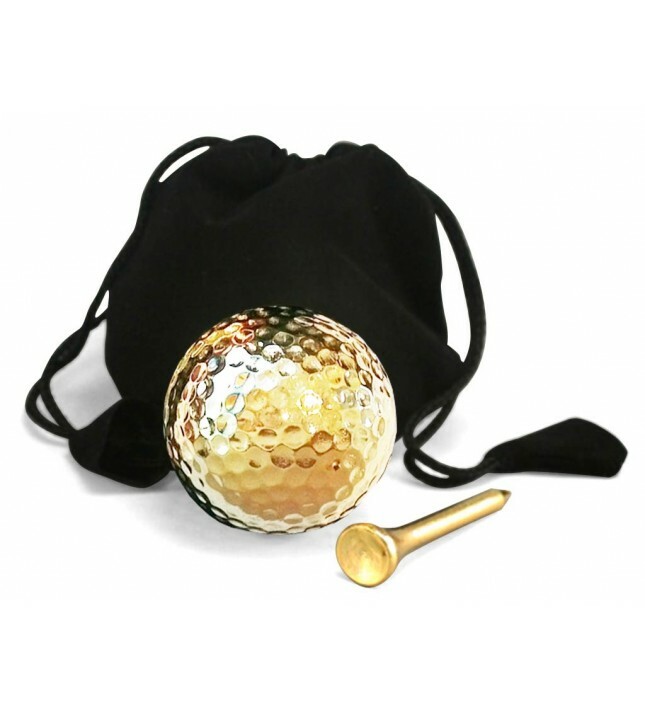 • A real golf ball together with a matching tee that have been dipped in 24 karat gold. 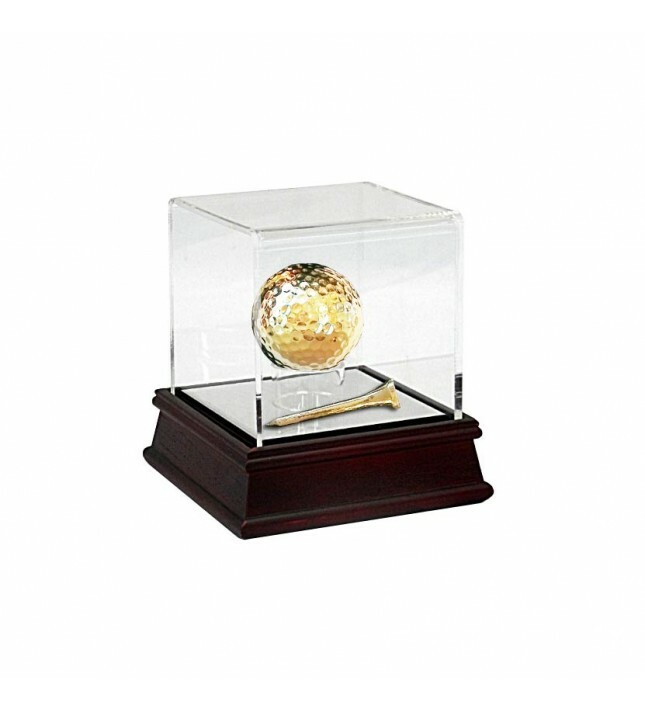 • An ideal addition to any keen golfer's display collection - ideal for a cabinet, shelf or mantelpiece. • An ideal trophy mount. 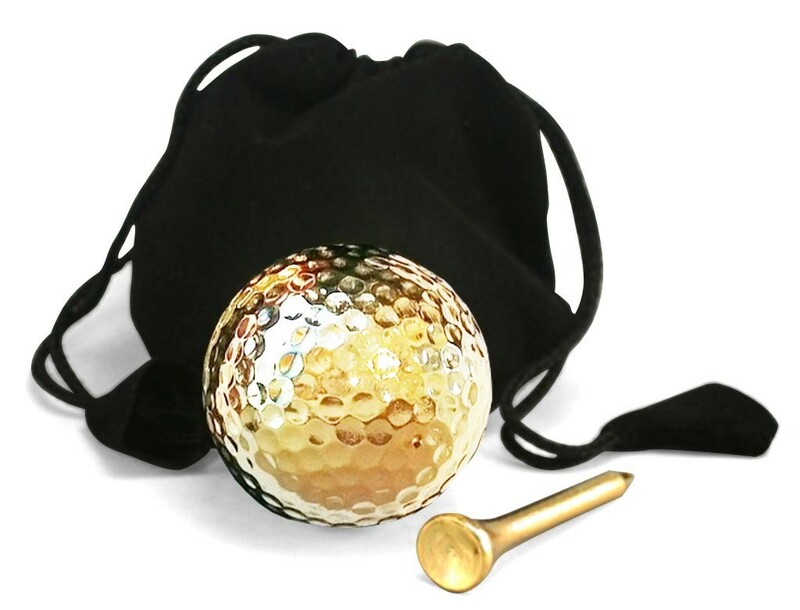 Each set comprises a real tournament-grade golf ball and tee that has been plated in 24 karat gold, thanks to our patented techniques. 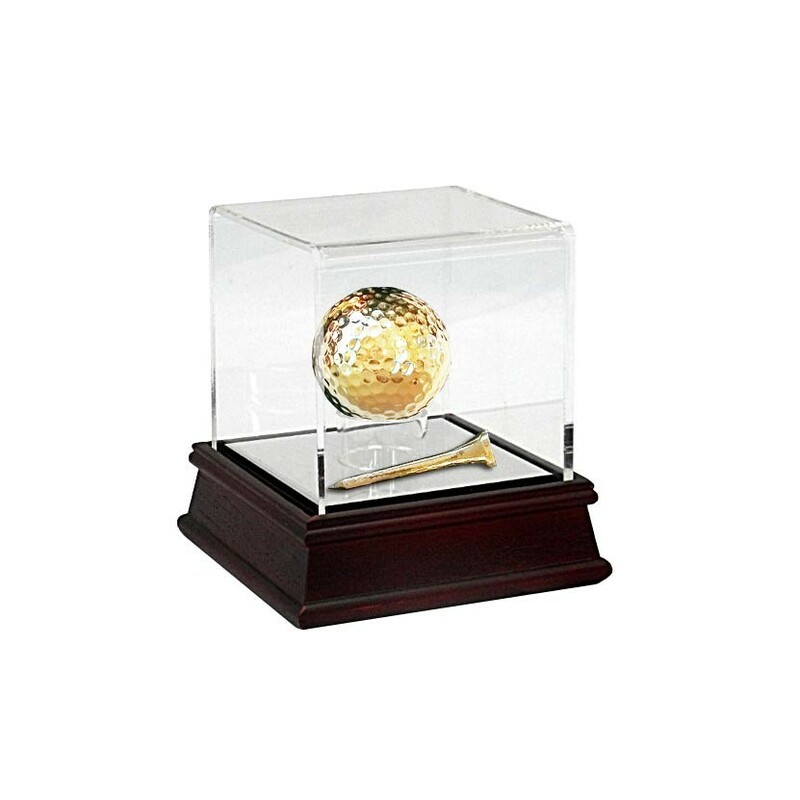 Ideal for displaying as a lasting memento for any keen golfer, whether in a display cabinet, on a mantelpiece, or even for use as a trophy. 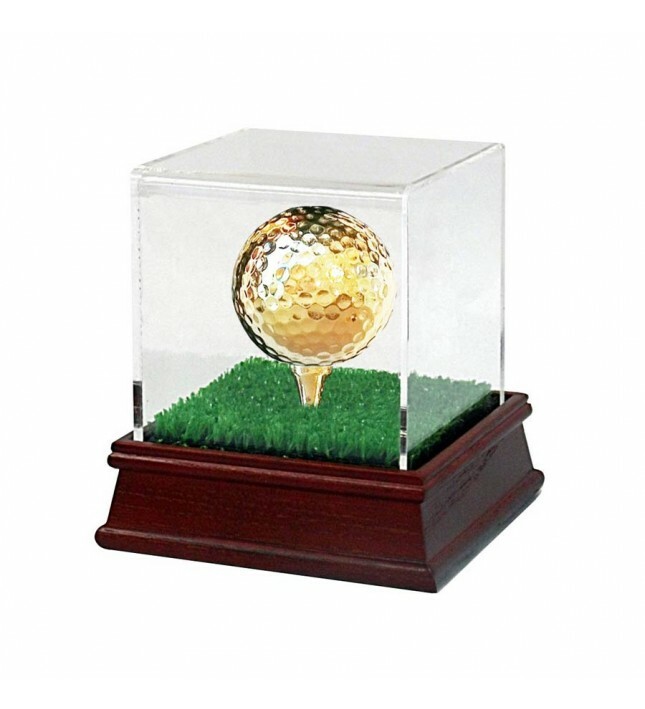 Please note that the display-only golf ball and tee set cannot be used in play. Each set comes in a small black presentation box within a pouch of black velvet. 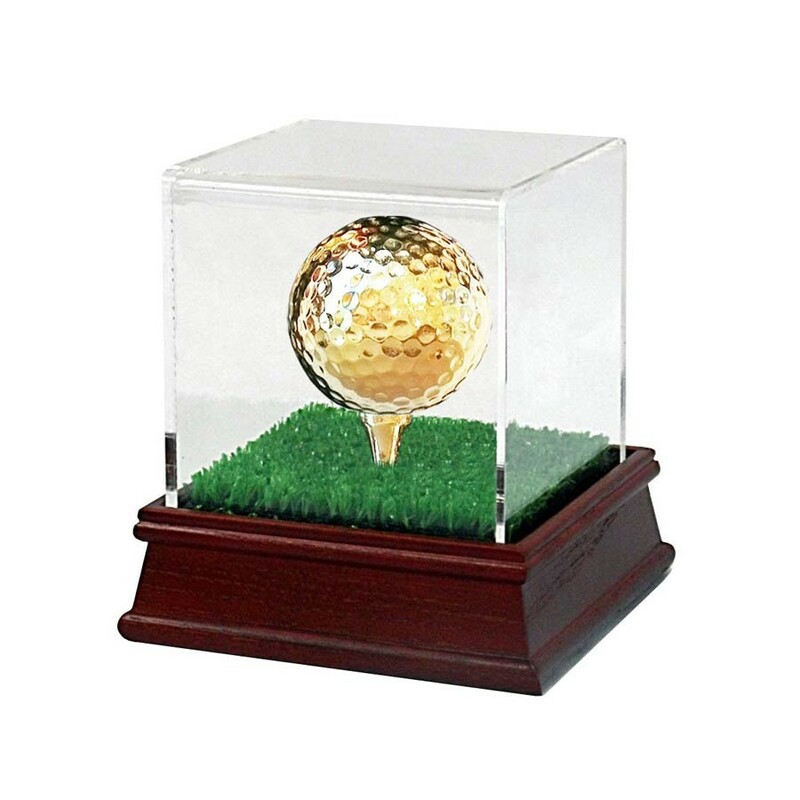 The trophy case in the photograph is for decoration purposes only and is not included in the purchase price. A set of gold-plated poker cards is also available as part of our sporting range.